Nice.. I see u got the 30 also I like mine alot..
Yeah I was a bit skeptical about the S35 with the 3” drivers, so I got the S30 instead...plus it costs less . I’m happy with it too. 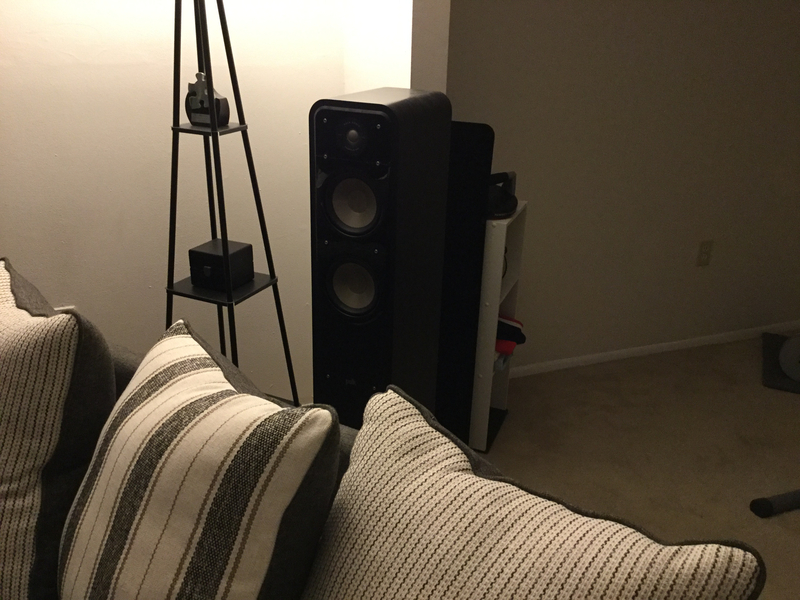 My first impressions of the 55s...they are a great sounding speaker. With music, they have good dynamics and soundstaging/imaging...better than the S15s I was using ( guess that could be expected lol ). As for bass...it is tight, clean with good detail/clarity...and ample enough to not need a sub IMO music (at least in my setup). With movies, the bass actually creates a “tactile” feel...explosions and such have actual “impact” ( not room shaking, but enough to be felt ). As for depth, they can reach as low as 30hz with usable output ( again, not room shaking, but definitely present ). The dual PSW 108s I was using achieved this as well with noticable more output ( not significantly more ), but with less control and definition...noticeably more muddy and sloppy. Can the S55s be used without a sub/subs? IMO, in an apartment/condo setting,you can get away with not using subs. They can create an acceptable “tactile” experience, with enough usable depth to not take too much away from movie soundtracks. Awesome glad ya like em.. I think they are great also they look good.. Your setup looks good..
My Folks Setup: Pioneer AVR, Klipsch RP-150M, Sony 3D blue ray player, VIZIO 55" TV. Don't get a 1000 lol save for a hsu..
A HSH VTF-1 is a darn good sub, @400 hard to beat. and ULS15 is small but will pack a nice punch. When I was a kid my parents told me to turn it down. Now I'm an adult and my kids tell me to turn it down. Oppo BDP-93,Sony UBP-X800BM, Sony DVP-NS3100ES, WD Live HUB. I can’t believe I did this...but this am I pulled the trigger and ordered S60s . It was a deal I couldn’t pass up...not much more $ than the S55s I got. From what I’ve read about these and what a few here have stated, I won’t be disappointed. Got the 60s in today...noticably larger than the 55s...especially the depth. They do make thier presence known . I’ll let y’all know how it sounds . looks great. Can't wait to hear your thoughts. Motorhead and halo...you nailed it . I know I said that with the 55s I didn’t miss my subs. Now, having the 60s in the front and the 55s in the rear, not only do I not miss the subs, I don’t really need or want subs! 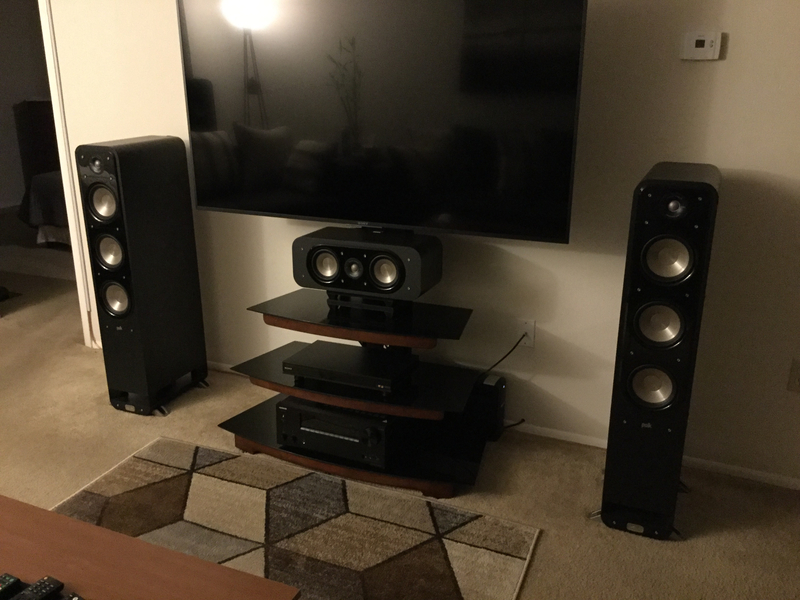 To test these, I watched Interstellar, WOTW and EoT and these 60s did not disappoint...definitely more low-end output than the 55s..more tactile and goes noticably deeper in the frequency range. I would have to agree with the people that say with the 60s a sub is not required . With having the 55s as rears, I was kinda weary that my AVR wouldn’t have the juice, but as far as I can tell it’s doing just fine...got the 55s crossed over at 40Hz. Im glad I got these 60s for the price I paid...thanks to all who recommended them to me . Glad you are liking them! I haven't heard a pair of front speakers that can take the place of a dedicated, self-powered, sub in a HT. The powered sub will alleviate the load your AVR is trying to handle all by its lonesome. For 2-channel music, I think the S60s do a great job. My current HT is also only my 2-channel setup so I have no complaints there but, I live in an apartment and I try to be respectful of my neighbors. If I lived in a house, I'd have a sub, or two, playing along with the S60s to cover the lowest octaves which the S60s cannot reproduce on their own. Not near the setup most of you have, but here's a picture of my S55's, S30, 505 sub and my RX-A2070. I hope to get a better sub by the first of the year. 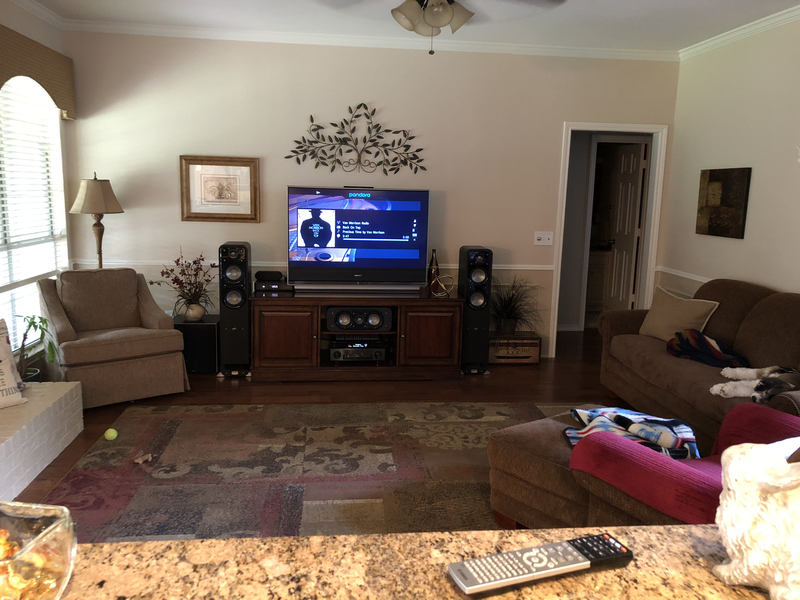 Yamaha RX-A2070, Outlaw 5000, HSU VTF-2 MK5, Signature S55, S30, Sony BPD-S3200, Technics PD867, Audio-Technica AT-LP60, AudioQuest Type 4 Speaker Cable, AudioQuest Black Mamba II Interconnects, Furman PL-8C 15 Power Conditioner, Cullen Gold Power Cable, Signal Power Cables, Sony 65" 900F. Thanks, I just wish it was a little wider as I really don't have room for 2 subs. If I put one to the right of the right speaker it would be too small a space to walk thru the entrance to the hall. Very nice looking room and well proportioned for speaker placement (neither of the front speakers is too close to the side walls). 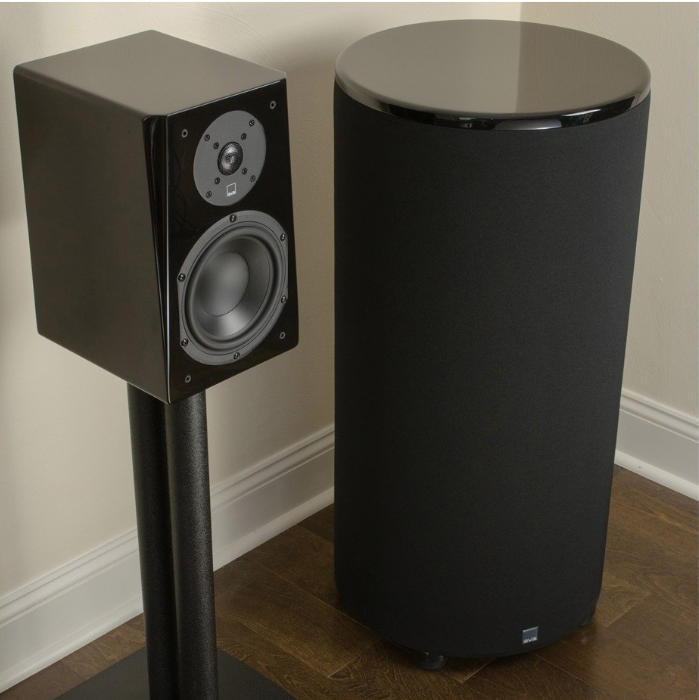 As for having dual subs, look into the cylinder subs from SVS (small footprint with BIG sound). What you don't see in the picture is on the right side of the room at the other end of the sofa are stairs and the room opens up to them. So both side aren't the same. 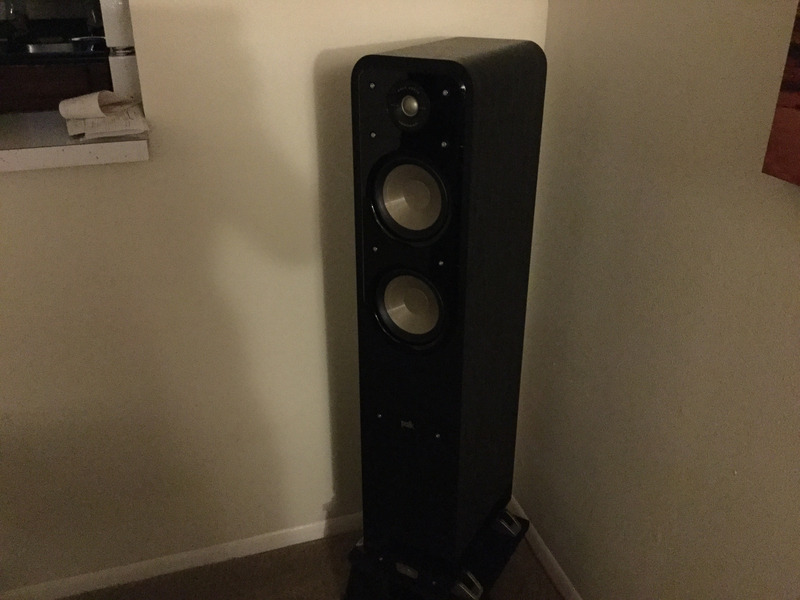 My wife already didn't like the taller speakers I bought when she was out of town (better to ask forgiveness after the buying them than asking if she would mind if I got them) so I don't think I need to try my luck with taller sub woofers. Although she did admit S55's sounded better. I probably get a Monoprice 10" when they get back in stock or a VTF-2 MK5. Not a fan of the 505 I have now. The HSU is an awesome sub. I have a VTF3 and love it. It replaced a VTF2MK2 which did extremely well. Has anyone on here tried the Monolith 10 THX? Not the 10 but the 12 and 15 are amazing.. So for the price of a 12" Monoprice sub you could get the VTF3MK5 and hear your dishes rattle. All my HSU subs have blended well with my Signatures. VTF2MK2 did well with my S60 and the VTF3MK5 does wonders. My S20's I have paired with a STF2 that blends perfect. The mono price 15 is very close to a 16 ultra for almost half the price...no way I would consider the the svs... If it wasent for their warranties and trade in.. Their stuff wouldn't sell like it does.. I would like to hear/see that. HSU are very good subs, so something in their price range to top it would be amazing. I'm only stating my opinion, I've never had the chance to hear the Monoprice sub offerings. Till I do I will suggest HSU or SVS, proven deep clean bass that last. When you hear that Monoprice 12 literally crush the VTF2, your head will literally explode.